SHIPPING TO BE DETERMINED UPON WEIGHT AT TIME OF SALE. A stylish addition to any jewelry collection! 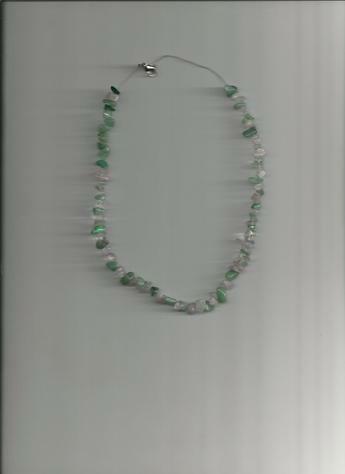 Mint Green & White Natural and Synthetic Gemstones on a Silver-plated wire, with silver-plated clasp, 12-inch Necklace.